One of my favorite blogger girls Tanya invited me to do the "Writing Process Tour". 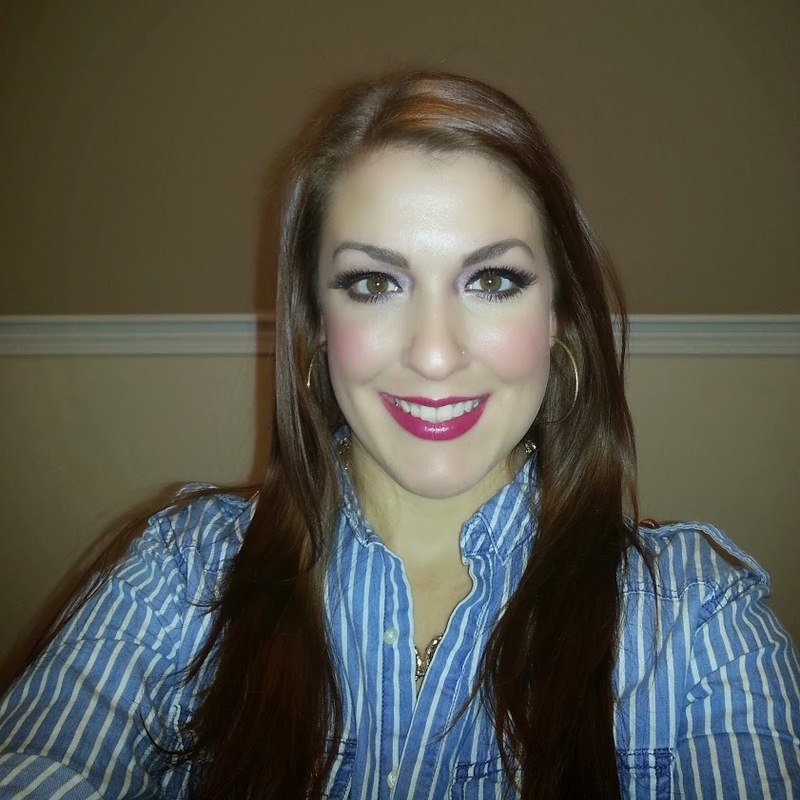 Tanya is the blogger behind "Leopard Lace and Cheesecake". Not only does she do fantastic Make up looks but she also loves fashion and gives fantastic seasonal tips on how to dress. I also enjoy very much her series: "Get the Look for less". Thank you so much for the invite, Tanya! So what is the "Writing Process Tour"? Basically you answer some blog/writing related questions and nominate other bloggers to do so as well. Well, I have a never ending list of ideas on my iphone- I think I am getting every day at least one idea for a post. Usually I finish only one post at a time- otherwise I would get confused. Because we will go on a little hiking trip on Monday (which is today lol but this post is scheduled) I am on a strict plan to finish up some product reviews for some companies and THIS POST HERE LOL! But when I am back I will have to prepare my "July Favorites" post. The main difference between my blog and most Beauty Blogs is probably that I went cruelty free (since May 2014). I no longer accept product reviews for companies that do animal testing. I encourage my readers to go cruelty free as well and try to show all the beautiful options out there. Animal testing for cosmetics are absolutely unnecessary and there is hundreds of companies that proof that! Go cruelty free! Most Beauty Blogs have their main focus on Make up but my main focus is skin care and anti aging products because I think it is more important to have radiant and healthy glowing skin, so you do not have to use so much Make up to cover up any flaws. But I also do a lot of fashion posts and my credo is: "You can look like a Million bucks without spending it!" I noticed also that most Beauty Bloggers are starting to write a blog because of their giant Make up collection. For me it is more the opposite: I started with almost no Make up and am now slowly getting a bit of a collection too. Why? Because I really enjoy it! It is my pleasure to uncover which products work and which ones are only Hokey pokey! I also love to show that you do not have to spend lots of money to look stylish! 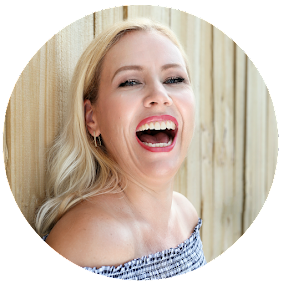 My blog is my little world which is surrounded by wonderful people like YOU! I do - as mentioned before- have a list of blog ideas on my iphone and then I do have those posts I have to do for companies. I try to mix my posts so that there is not every day just a review. Last week was an exception where I needed to finish some product reviews before our little trip to Tennessee! Most important detail for my posts are probably the photos. I love to make photos of products and I think they make every post look better. Demi Mist from "Beauty and the Mist". She is also one of my favorite bloggers. She lives in Greek and is truly an artist! She has the best ideas on how to decorate sandals and other things (check the photo below!). She does super cute nail tutorials and her reviews are very honest. Too bad I already married many years ago because she always finds the most stunning dresses and shoes for weddings! She is truly such a crafty sweetheart! 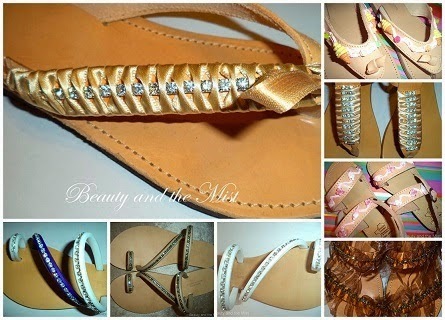 Demi Mist designed all these sandals! Julie May from "The Saltlife Wife". Julie is also from Florida just like me! Julie is not only a Beauty Blogger but also an Avon Representative. She loves beauty stuff but has also interior design ideas. 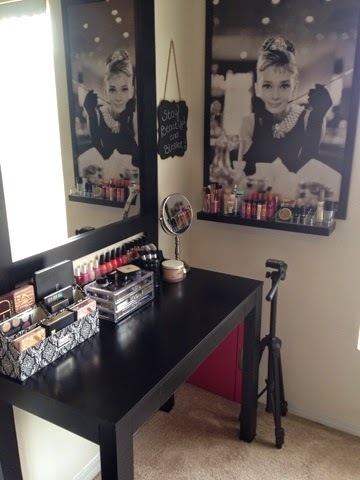 You have to see her beautiful vanity area! A girl´s dream! Julie is trying to conceive her first child after years of infertility and she opens up on her YouTube channel about her journey to Motherhood. Alright- so long with my writing process! We will be going now on a little hiking trip! I will post some pictures on Instagram and try to vlog a bit about our little vacation but I will be absent for a couple of days on my blog for the first time ever!